5c Coat of Arms in Oval Message Half Postal Card. Unused and bit trimmed at top from separation. 20c Violet La Popa Hill. 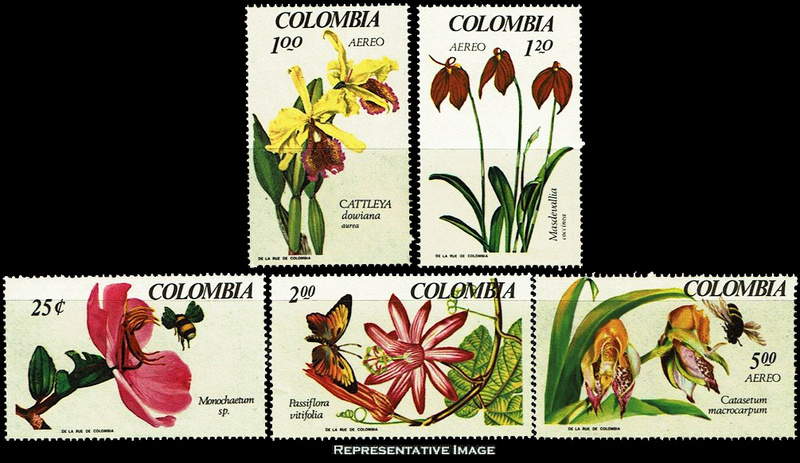 1c, 2c, 5c, 5c, 5c and 10c Colombian Orchids. 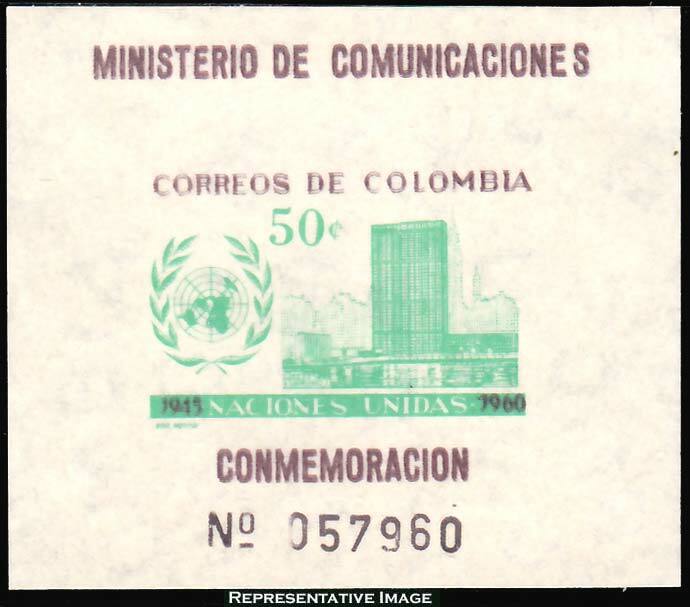 50c United Nations Headquarters and Emblem 1945 Founding of the United Nations Souvenir Sheet. 25c, 1P, 1.20P, 2.00P and 5.00P Orchids National Orchid Exhibition. 5c Coat of Arms with Steamship at Left of Indicia Postal Stationery Envelope. 5c Coat of Arms Railroad Postal Service Laid Paper Postal Stationery Envelope. 5c Coat of Arms Railroad Postal Service Wove Paper Postal Stationery Envelope.